After all the drama of the January transfer window West Ham fans would have been hoping to see things settle down and watch their side return to winning ways. Without a win in their last five games, including a shock defeat to Wimbledon in the FA Cup and a thrashing at the hands of Wolves, their season is in danger of quickly becoming a dead rubber with nothing more than pride to play for. The winter market threatened to be a lively one, both in terms of new arrivals and exiting stars, but as is so often the case it ended up being nothing more than a damp squib – although the fans can be happy Marko Arnautovic remained. Of course, the Austrian looks to be exit-bound come the summer and finding a replacement for their talisman forward is going to be easier said than done – a giant striker with pace and power just does not come around very often. 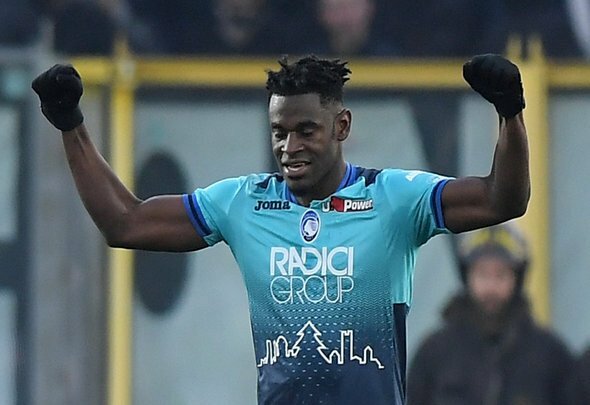 However, if January’s reported activities are to be believed then the summer cannot come soon enough for those at the London Stadium, with Sky Sports journalist Gianluca Di Marzio claiming the Hammers bid £35million (€40million) for Atalanta goal machine Duvan Zapata in January. The 27-year-old Colombian has been nothing short of red hot this season, netting 21 goals in 31 appearances across all competitions and that sort of form would have fans forgetting Arnautovic’s existence in no time. With this season looking like tailing off already, fans will be dreaming of what might happen come the off-season and this is the exact sort of move that would have them off their feet in east London.